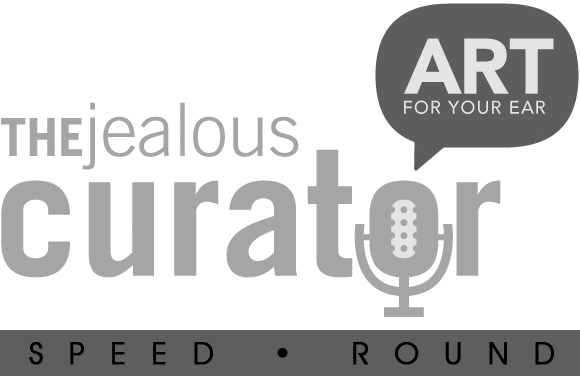 Every week I look forward to the weekend and a new episode of Art for Ears, the Jealous Curator’s podcast. 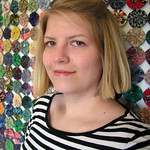 Danielle Krysa has an amazing blog called The Jealous Curator (subtitled: Damn. I wish I thought of that), where she shares the artwork of artists that she is jealous of. How many other artists out there can relate? (Raising my hand) If you haven’t checked out the blog or her podcast, I highly recommend it. The idea behind the podcast is that Danielle interviews a different artist each week, so that the listeners get a little look into the lives of all kinds of artists. Each episode has a speed round section where she asks the artist quick questions that they should answer without thinking too long or too deeply about them. Each week I try to imagine how I would answer these same questions if I were being interviewed by Danielle, so I had the idea to start this series where I will share my own answers to each week’s speed round on this here blog. 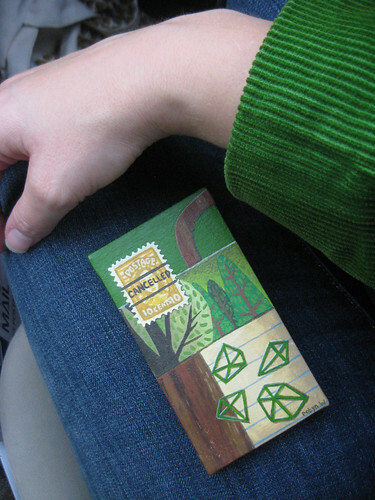 This week’s episode was with artist Debra Broz. You can find the episode of Art For Your Ears here. 1. If I gave you a trip anywhere in the world, where would you go? The place that comes to mind immediately is Juneau, Alaska. I was fortunate enough to spend a week there during spring break my senior year of high school, and I always said I wanted to return with the possibility of living there for at least 2 years. I haven’t been back since but want to so badly. 2. Favorite movie from your teen years? Say Anything, and as a bonus I’ll say that my all of my favorite movies from my teen years were shmoopy romances, so I’ll just share that my top 5 were probably Say Anything, 16 Candles, Pretty in Pink, Singles and (Debra Mentioned this one as her favorite as well) Reality Bites. Pizza. Don’t get me wrong, I love ice cream, but I’m more of a fruity or non-creamy dessert type person. It would have been a lot harder choice between pizza or Slurpee/Slushee/Hawaiian Ice. And just a quick note: As soon as I heard about and then saw Debra’s work, I instantly wanted to see a collaboration of some sorts between her and artist Cassie Marie Edwards, who was also featured on the Jealous Curator. Cassie paints realistic portraits of figurines, while Debra is a ceramicist and restorer, that takes apart figurines and re-imagines them into new creatures. Maybe they could do a group show where Cassie paints the original figurines and then Debra re-imagines them. That would be so cool! 21. I have road tripped around Ireland with my sister, kissed the Blarney stone and climbed to the edge of the Cliffs of Moher to look down and see birds flying below me. 22. 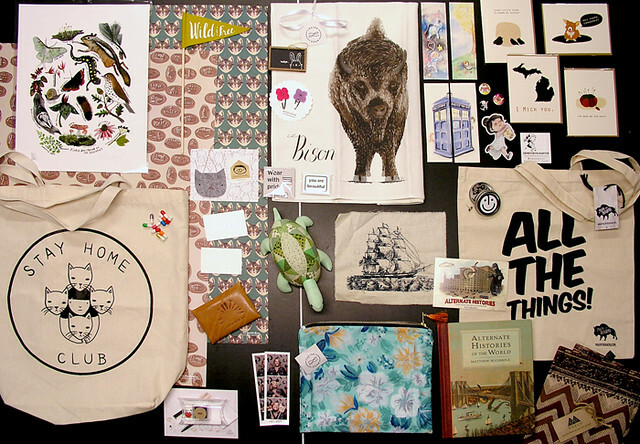 I have been on etsy since 2005 and opened up my shop in 2006. 23. I always wanted to open up a wrapped box from under the tree, Christmas morning, to find a little puppy inside. 24. 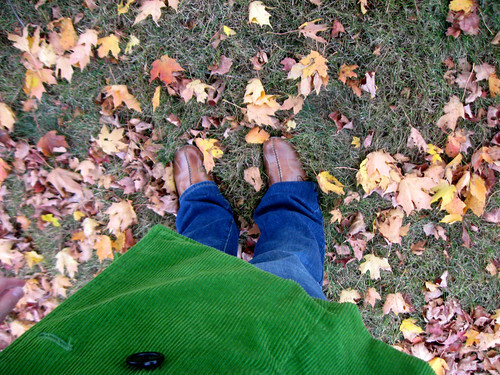 I have set-lists, been backstage in the green room, and have been to after parties with Wilco. 25. I was taken to urgent care after being bitten by a blind and toothless, old dog when I was in middle school. 26. I don’t like bananas, but I don’t mind fake banana flavored candy. 27. I have a Bachelor’s degree in Art, not a Fine Art degree. Before graduating I was an undecided major, then an education major with Art emphasis, then an Art Education Major, then just an Art major. 28. For that I had to take 2 years of Italian language classes. 28. If I had a fine art degree it probably would have been in printmaking, photography, or metalwork/jewelry. I just counted 12 classes I took between those subjects. 29. I have 10,100 songs in my itunes library and if each track played once my library would play continuously for 26.5 days. 30. I would say97% of those songs are from CDs. I don’t believe in buying digital. Why pay almost the same amount of money and not get a hard back up as well as awesome artwork? 31. I’ve had a thing for stripes (particularly black and white stripes) probably since middle school. It makes me kind of sad now how popular B&W stripes are now. It used to be fairly difficult to find b&w striped items and everyone around me knows it was my thing. Now I don’t want people thinking I’m just being obnoxiously trendy. 32. I don’t like pop and rarely drink it. I can’t take the carbonation. It hurts to drink. 33. I have green eyes and I think that makes me special. 34. I have bought my current bicycle 4 times. 36. 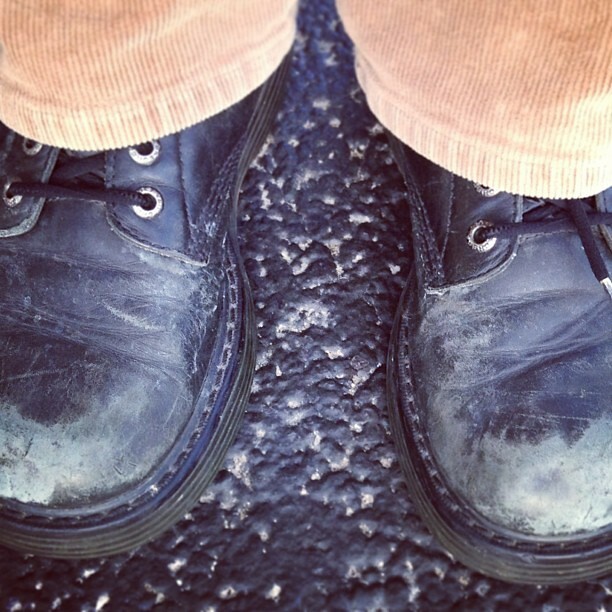 Here are my favorite boots. Click the image above to read more about them. 37. 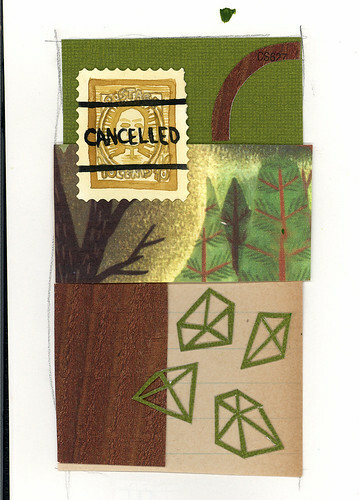 I have sent HUNDREDS of pieces of my original artwork though the mail. 38. I used to play the clarinet (for 4 years, from 5th grade through 8th). 39. The first page of all my sketchbooks start out the same way with the time of my birth printed small and central, and nothing else. 40. I’m worried that these lists of 100 Things sound like I’m bragging or a snob. No. 16 from 2010 List – DONE! So, it’s been years now since I created my first “yearly list“. I didn’t even create one this year because I felt like I needed to focus on crossing off all the things on my previous lists, rather than continue adding to them. 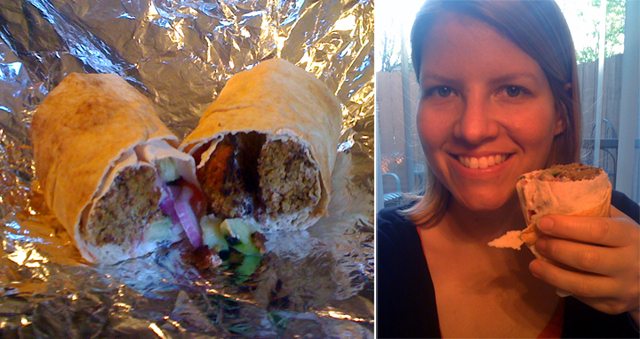 This last weekend I did another thing that I can finally check off… #16 from 2010 – eat falafel. You might say I live under a rock, but it wasn’t until about 5 years ago that I had even heard of falafel. I think I’d read about it online and then like that it was popping up everywhere. It’s description was so foreign to me. I got this idea that it was a deep fried bready thing that I pictured to be like hush puppies, but that you ate it on a pita and it had some sort of white sauce on it. A bread item that you eat on more bread, hmmm, not sure about that? I found out it was a middle eastern food and had it in my mind that I wanted to eat it at a middle eastern restaurant in Chicago. That being said, any time I was in Chicago it was with other people and we had other plans, or I was afraid to ask about searching out some good falafel. 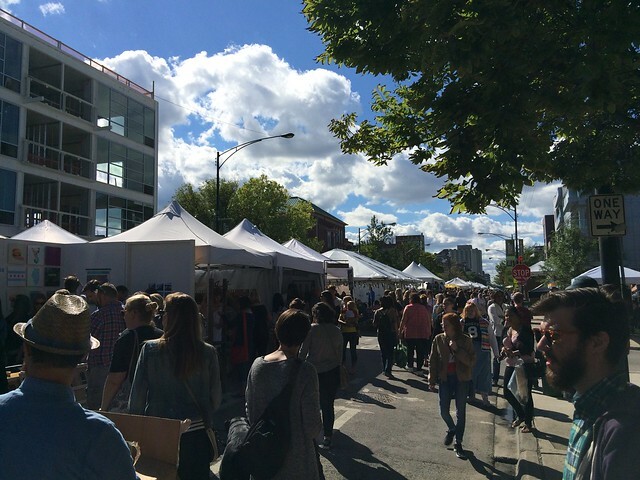 I was also kind of building it up so that it had to be this big event – the FIRST TIME I HAD FALAFEL! Fast forward to recent times. Right before Easter, Matt had a dream where he was eating a lot of vegetables. Normally he’s a MEAT-EATER, so when he woke up it got him thinking and he started doing some research about vegetarianism. He set himself a goal to see if he could go meat free for one month. (Insert My Big Fat Greek Wedding joke here). I am not a vegetarian, but this really has been wonderful. Suddenly he is being very open minded and trying (and enjoying) all sorts of things I couldn’t get him to try before (hummus, soy burgers, etc.) and together we are exploring all sorts of new meat alternatives (seitan, TVP, etc.). It’s been well over a month now and he’s still going strong. With all the new variety brought into his diet he hasn’t even missed real meat. We’ve been eating out at this local pita place where we first discovered the glory of seitan (seriously, the good quality stuff, how is that not meat?). Then my friend Gail posted on facebook that she has become obsessed with this same pita place’s falafel. My friend Gail went to culinary school, has worked as a pastry chef, and has her own soup company. Her recommendation was all I needed. We did a little research and decided to order a falafel pita with all sorts of veggies and tzatziki as well as tahini and voila, it was awesome! It was different than I expected, but in a good way. I didn’t really expect it to be like a meat substitute, but it really was. Instead of being bready, it was more like grains and legumes, but with the right seasoning and texture, it tasted much like veggie burgers do. Despite the long, long (quite, quite long) list I posted earlier this week. A quick note, as it’s been weighing on my conscience that it’s halfway through the year and I haven’t posted about my yearly lists yet. 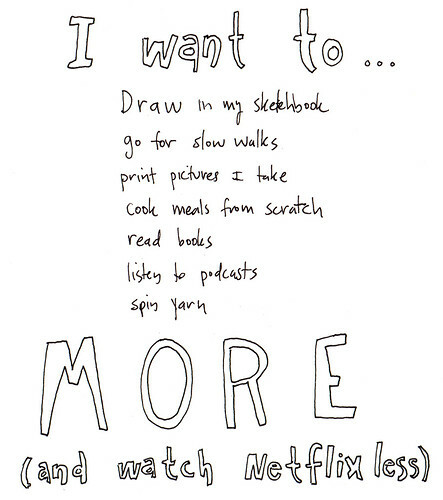 I didn’t put together a list this year because I wanted to take time to finish the things on my previous lists. I’d rather work away at items that are important, rather pile on more obligations to the point that it is no longer enjoyable. 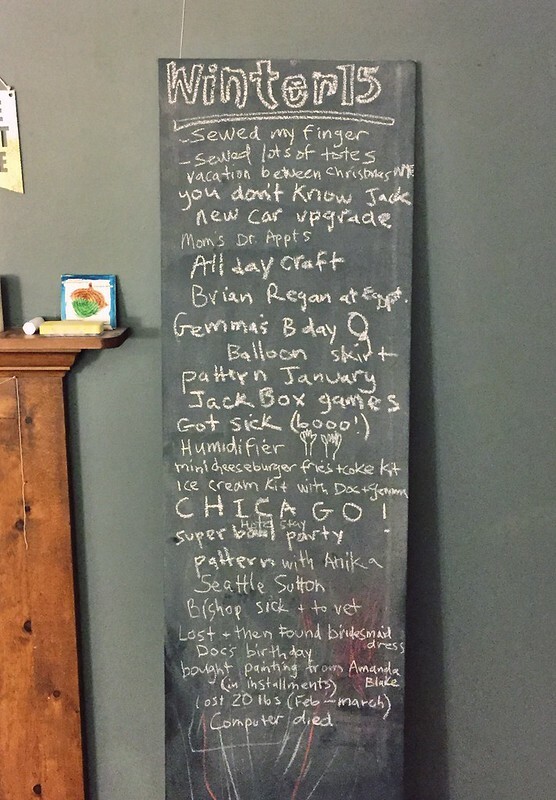 That being said, earlier this week I was thrilled to cross off an item from last year’s to-do list. 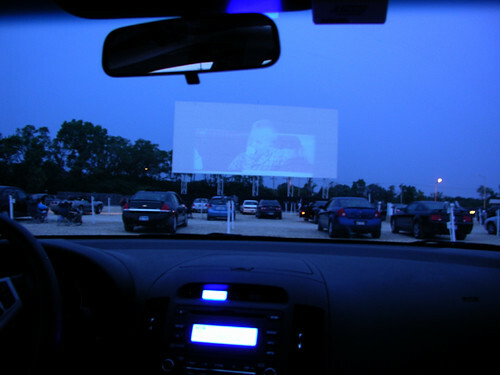 I went to the drive-in movies for the first time in my life. 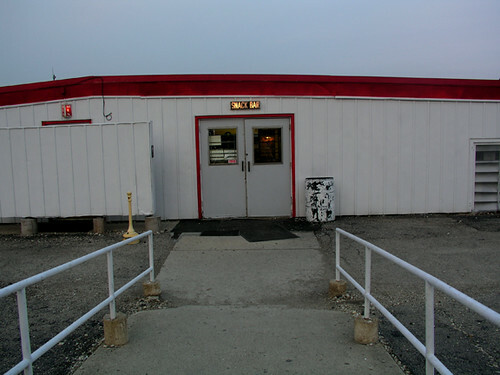 After driving past the Cascade Drive in (West Chicago) over 10 years ago now, I’ve known that was the drive-in I wanted to attend. 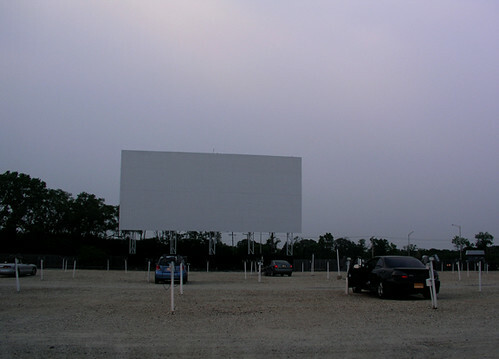 Talking to people beforehand about the drive-in, I gathered that it was fun enough, but nothing amazing. I tried not to build myself up as much as one can, when they’ve been wishing to go to the Drive-In their entire life. Honestly, I’ve wanted to go for so long, but it had to be with just the right person, and for the right movie and at the right time of the season, etc. Matt and I have been together now for 10 years, so I think it was finally safe to say he was the right person, lol. Like I said, this item was on my to-do list from last year. I added myself to the Cascade Drive-In movie theatre email list and for over a year they’ve been sending me the movies they are playing each week. Last year, without fail, when a movie that I’d finally want to see came to the drive-in, it would turn out that I had already seen it in the regular theater weeks before. So this year, I told myself not to rush into the theaters to see everything and save it for the drive-in. When it came down to it, I finally said if I wait for the perfect day and the perfect movie, it will never happen so when I saw the new X Men movie was playing I thought it would be good enough. 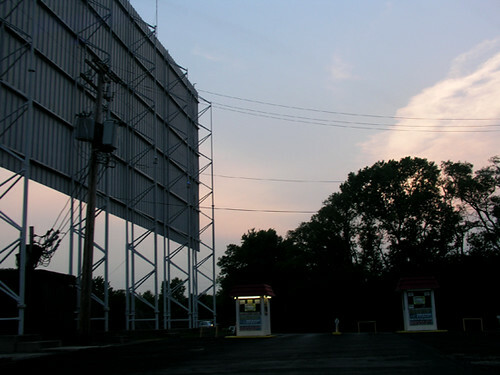 I think most drive-ins are usually double headers and this one was no different. Bridesmaids was the second movie, and although I wanted to see it, we ended up going on Wednesday, and we both had to work in the morning. We left it up to how we felt at the time to leave after the first movie or stay for the second feature. Also the movie theater was over an hour’s drive away from us. Keeping low expectations of the experience worked out because immediately driving in I knew it was going to be awesome and even better than imagined. 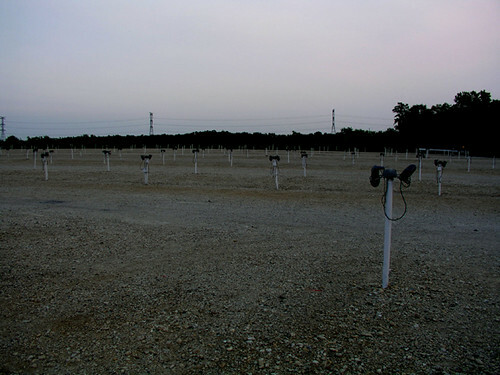 The lot was all gravel so you didn’t have to worry about mosquitos. They had the posts with speakers attached and before the movie began they were playing classic hits from the 50s. Both Matt and I really enjoyed that. The theater really made their best effort to make it like it had been back in the day. 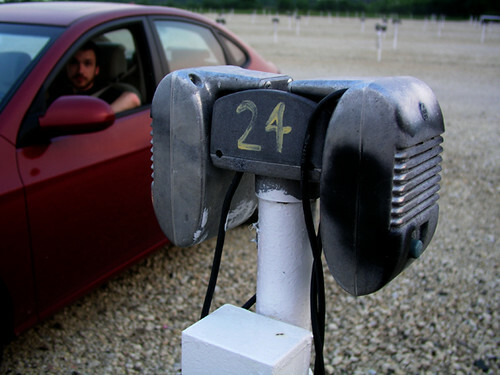 You could listen from your speaker on the post, put the speaker in your car or just tune to 88.5 on your radio and listen that way. We played the movie through our radio and had our windows open so we could hear from all the other speakers in the theater and it was almost like stereo coming from all directions. We got there about 20 minutes before the first show was supposed to begin (8:30 p.m.) and there were a few cars there before us. By the the time the movie began we heard an employee’s walkie-talkie announce that there were 110 vehicles and I saw more cars still pull in after that. So, they did decently for a midweek showing. 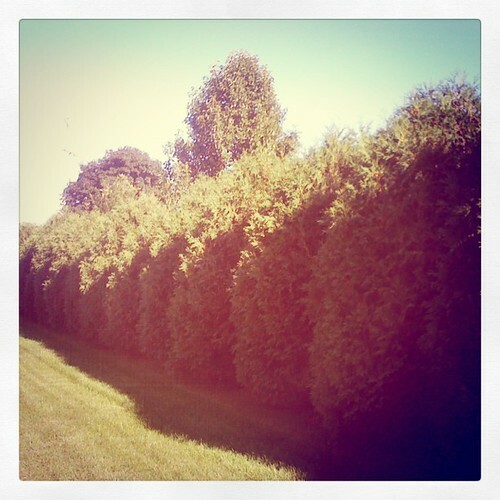 That day had been unusually hot, but by the evening it was so nice out. We were able to have the windows down and sunroof open and there was a cool breeze. If we go again I’ll try and remember to bring a blanket and pillows. They had a snack shop where you could buy all sorts of goodies, and they didn’t seem too expensive either. Popcorn for a dollar! Who’s heard of that at a movie in the last 50 years? But beforehand, heading to the movies Matt and I picked up some sandwiches to bring with us. It’s a perk you can’t enjoy at the regular movies. You can also bring your pets and lawn chairs. There were several groups laying in truck beds or SUVs to watch the movie. Before the movie began I even saw people that brought a baseball and mitts to play catch. They also had picnic tables in a grassy area and permanent BBQ grills for anyone to use. Probably because it wasn’t dark enough yet, the movie (or rather commercials) began about 20 minutes late. But once again to my enjoyment, they played all of these old classic commercials from long ago advertising things they carry in the snack shop. It filled in even more than in this picture above, but they kept all the cars in certain rows. I’m not sure, but I’d guess they could probably pack over a thousand cars in there. I can imagine how full it would be on a Friday or Saturday night. 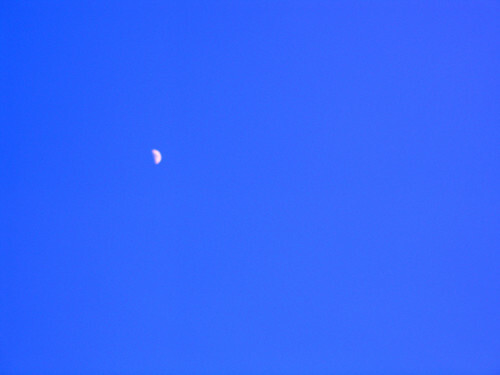 Here is a picture I snapped of the moon as it was getting darker. By the end of the movie the wind had REALLY picked up and it had been so hot and dry the last few days that dust from the gravel started picking up. A couple times I got stuff in my eyes, and that’s not good for this contact lens wearing girl. X Men was good and it ended a bit after 11, even though Bridesmaids was supposed to start at 10:30. We were more than content with our experience, so we decided we were fine leaving early. Good thing too because a few minutes after we left the sky opened up and rained and poured the whole way home. I had such a good time and I’m so glad that it was just Matt and I, but I’d definitely want to go again. I think it would be fun to get a group of people in multiple vehicles. Also, I think they open up a full 2.5 hours before the movies begin so you really could make an evening of it with BBQing and everything. In the last week Matt and I have been doing some rearranging. We moved our “living room” which was previously in the finished basement, up to the actual living room area. The office, which was previously in the “living room” is now in the finished basement. Matt’s brother and sister-in-law were so kind to give us their 61″ HDTV and there was no way we were carrying that down the stairs, so instead we just did a switch-a-roo. The reason they gave us their amazing HDTV was because they decided to upgrade to a 3D-HDTV! and it is amazing! I’ve never been too keen for 3D movies, but they had us watch a 3D Imax movie about the bottom of the ocean and it was the first time ever where I felt like things were actually coming out of the screen at me. Then this weekend we carved pumpkins with our friends Tom and Nikki. It’s something we do every year. I only have Matt and my pumpkins pictured here because the full group shot is on my other camera and I left that in my best friend’s car. 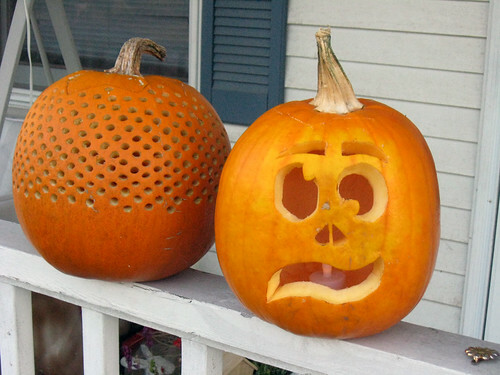 My pumpkin is on the left. Usually I always carve the same pumpkin ever year, but this year I was inspired by this link from Martha Stewart via The Dainty Squid. Last week this painting arrived in the mail. It was actually a painting I made and sent out for a top secret project. I loved the finished product so much, and I was so afraid that it would end up getting lost or tossed and just unappreciated, so I was thrilled to have it back in my possession. It’s based on a collage that I shared earlier this year. 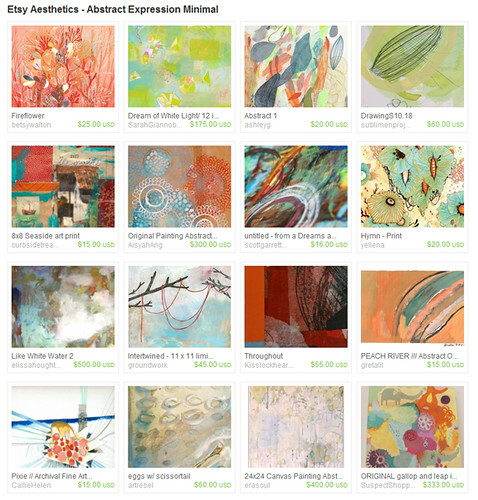 And lastly, today I made this Etsy treasury.